A 10-round capacity low profile (5-round body) magazine. 100% US made magazine for 7.62x39 caliber rifles. Smooth body made from the same polymer and texture as the US-made furniture found on all firearms from Arsenal Inc. 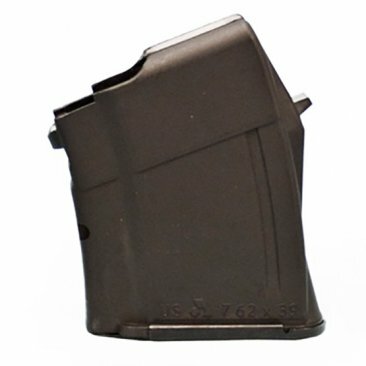 Introducing a FIRST US-made magazine with a steel lug insert. The steel lug allows for longevity and a precision snug fit. Helps prevent wear over time do to rubbing against the magazine catch found on all AK-Style rifles. The magazine will count as three (3) 922r compliance parts with the US made follower and plate. In black color, also available in plum color polymer, and 5-round capacity. Great for states that only allow lower capacity magazines. These magazines are made using original design and specs. They are of the highest quality found on a low profile magazines. These magazines pass the Russian Mil-Spec drop tests.